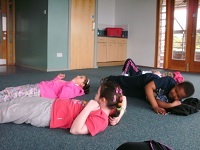 Pupils from St. Joseph's Prep engaged in a day re-treat to celebrate the Sacraments that they have taken. Treasure Hunt - A chance to explore the Castle site and find treasure using a series of photographs and the help of your friends along the way. 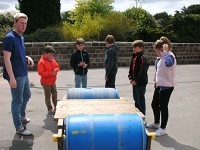 Conveyor - Working together as a team to keep the plastic balls and water moving and succeed? Searching - Attempted to visit all the places marked on the map to discover more about the Holy Spirit? 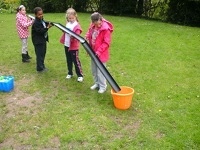 Night Line - An activity based on trust and communication. 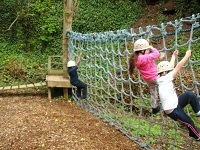 Children must guide their blindfolded partner through the twists and turns of the course.